WESTCHASE - NEW PRICE! 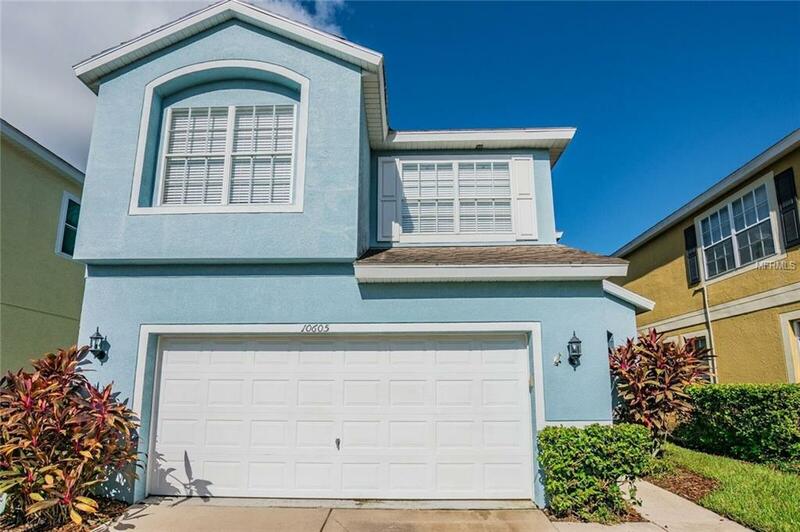 This adorable 3 Bedroom, 2.5 Bath, 2 Car Garage home is located in the GATED Community of The Enclave and is just a short walk to the Community Pool and Tennis Courts. Step inside to the open light and bright Living Room with 2-story Volume Ceilings and Sliders leading out to the covered, Screened Lanai perfect for barbeques and entertaining! The Kitchen features Glass Blocks letting in lots of natural light, a Breakfast Bar, Gas Range and newer Refrigerator, Microwave and Dishwasher. The Utility Room leads into the garage and the Half Bath and HUGE storage closet complete the downstairs. All Appliances including the Washer and Dryer stay with the home. There is easy care laminate flooring throughout the entire home...no carpet! Upstairs is the Master Suite and Master Bath that features Double Sinks, Private Water Closet, Step-in Shower and Walk-in Closet. There are two secondary bedrooms that share a hall bath and a large hall closet completing the upstairs. The Community HOA covers the Lawn Maintenance so you'll have time to enjoy all the amenities that Westchase has to offer including the Community Pools, Tennis Courts, Playgrounds, Walking Trails, Baseball and Soccer Field and the Westchase Golf Course and Country Club! LOCATION, LOCATION... there is a Grocery Store, Eateries, Shops and Banks all located just across the street. IT'S NOT JUST A HOME...BUT A LIFESTYLE!